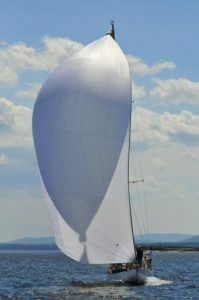 Asymmetrical – We build all types of racing asymmetrical spinnakers from upwind Code Zero sails to all purpose asymmetrical sails, to maximum girth runners. We use Nylon, Polyester and film laminates and have built racing spinnakers for all boats including the J-sprit line of J-80’s, J-92’s, J-105’s, J-109’s and so on. Symmetrical spinnakers – We custom design and build maximum girth runners, reachers, and all-purpose symmetrical spinnakers to meet every application and wind range.